Being part of our new series White edition rooms, Junior suite offers a sense of space, style and sophistication. Each one is individually designed and features an open plan sitting area. Complimentary coffee facitilies are also available. Guests can enjoy a nice view to park “Lauta”. All of the suites have a terrace. 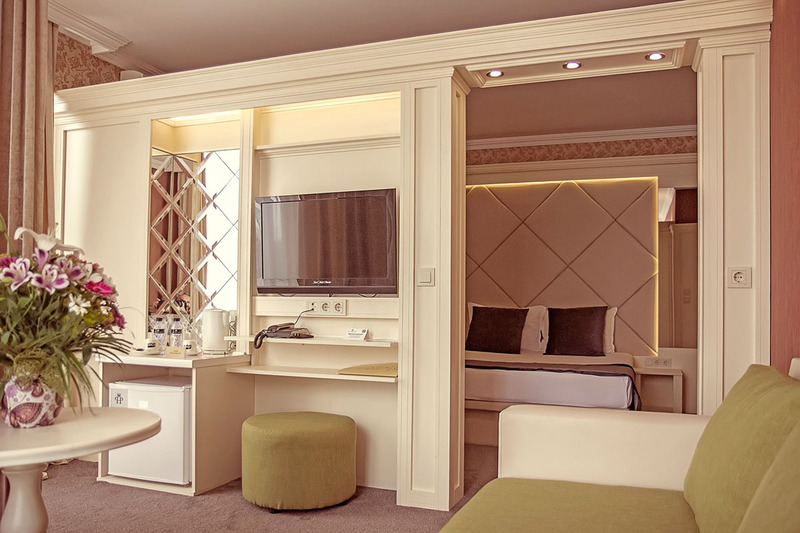 Sized up to 40 sq.m.,Junior suite is suitable for families.Baby cot is also available upon request.